Won’t someone please save the whales from wind turbines? Marine environmental experts blame offshore wind turbines for the deaths of three minke whales that washed up on British beaches, The Times reported Monday. Wildlife experts claim that the noise generated by wind turbines affected the sonar that whales use to navigate, causing them to beach themselves. There are several commercial offshore wind farms close to where the whales beached themselves. Get ready for a heavy tug on the heartstrings. The U.K. coastguard received reports of a minke whale calf that had become separated from its mother Friday evening. By the next afternoon, it had been found dead at the mouth of the River Ore, and its mother washed up near Felixstowe. On Sunday, another dead adult whale surfaced, indicating that an entire family could have been killed. 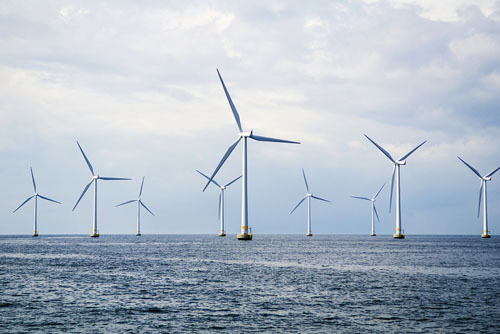 Both construction and ordinary operations noises from offshore wind turbines can travel immense distances under water. This harms whales, dolphins, marine mammals and fish that communicate with noises in order to breed. Magnified by the water, sound waves from wind energy boondoggles deafen sea creatures, screw up their swim bladders, or even kill them outright. Wind turbines are similarly lethal to birds, especially raptors like the bald eagle. But they are also highly inefficient, so they appeal to moonbats. Consequently, the government favors them over fossil fuels and nuclear energy, and subsidizes them lavishly with our money. Causing carnage under the surface. On a tip from KirklesWorth. Cross-posted at Moonbattery.